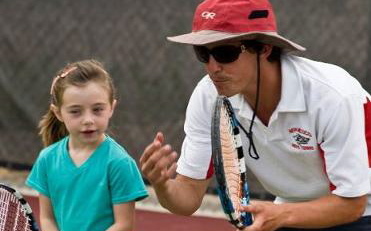 ANTS proudly partners with teachers who have the tennis background, history, experience, and enthusiasm that is necessary to run their own after-school tennis club for grades K - 5th. We partner with those who share and promote the same values, progressions, and philosophies of an ANTS Tennis Club At School Program. If you are interested in more, please continue to read below about our missions, goals and philosophies as well as to see an example of what your coaches page will resemble! ANTS understands the very important role in providing positive, safe, and quality environments for America's youth! Our curriculum is designed to have a "Healthy Habit" impact on the kids through the game of tennis, that aims to teach kids everything from life-long health habits to individual and teamwork skills. We take our quality very serious, and therefore are very particular when it comes to establishing a new ANTS Tennis Club At School Program. We look for individuals who are highly motivated, highly dedicated, and highly passionate about the effects they can have on and off the court. We also seek individuals who are motivated to take the measures and steps they can to ensure competent strong growth and retention of their programs' numbers. We love the fact that we can spread tennis like wildfire and make it one of the most popular youth sports in America. In order to do so, we must break down the barriers and stigmas that are associated with the tennis (country clubs and exclusiveness) and make it accessible everywhere and to every child (parks, schools and blacktop spaces). In order to coach, run, and grow your ANTS Tennis Club At School Program and Business, you will need to be informed. Please contact us with the form below, and an ANTS Tennis representative will be in touch with you shortly. Tell us why you think ANTS Tennis would be great for you and your school. Teachers that do have the tennis background and experience necessary to run an effective program still have to go through an ANTS Training Program that teaches and promotes the ANTS Tennis Philosophy. The other half of being able to run an effective program is also being able to run an effective program on the backend (business side). ANTS also runs every coach through a "business development" training that covers the importance of themes such as starting off strong, continually building and maintaining and retaining. Our goal is to allow you as a coach to focus on the "on the ground" operations, and not get overwhelmed or burdened with the backend bonanza of registration, roster creation and editing, payment collection, and/or customer service when it comes to questions about the program registration. Jessica, this is where you can keep track of everything that is happening on the back end of your programs. At ANTS we believe that you only should focus on the time spent out on the courts. No need to waste your time putting together and sifting through the nitty gritty. Your page will be continually updated. Our goal is to make it as easy as possible for you, and for that to happen we become your necessary resource(s). This is where you can find out tips on how to manage, coach, and teach your team. Feel free to browse the curriculums, videos, and coach forums for tips, pointers, and advice. If you need a specific question answered that you cannot find on your site, feel free to give us a ring anytime! This is where you can keep track of your rosters season after season. This is a great way to see and compare your seasons so you can identify how much your program is growing while at the same time retaining. Growth and retainment are the keys to success for your program, team, and/or league. Keep track of you season notes so you can compare and identify what worked well and what did not work well season after season, year after year! This is your bread and butter! Keep coming back to ANTS Resources to find updated curriculums and video resources*. * ANTS Video Resources are not available until one is part of the ANTS Team.